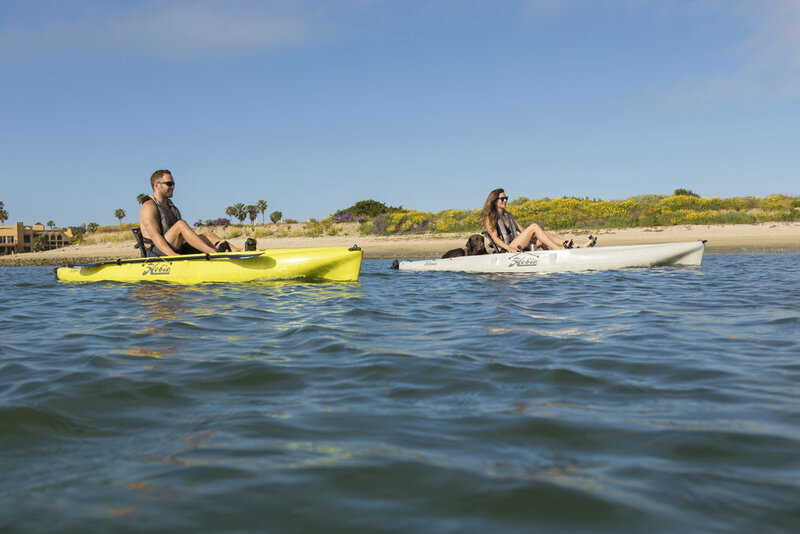 It’s still every inch an Outback, with a time-tested hull that’s an ideal blend of confident stability and smooth maneuverability. Yet more nimble than ever, thanks to the efficient reversing MirageDrive 180. The deck is designed around the marvelous Vantage CT seat to maximize stand-up space and storage. 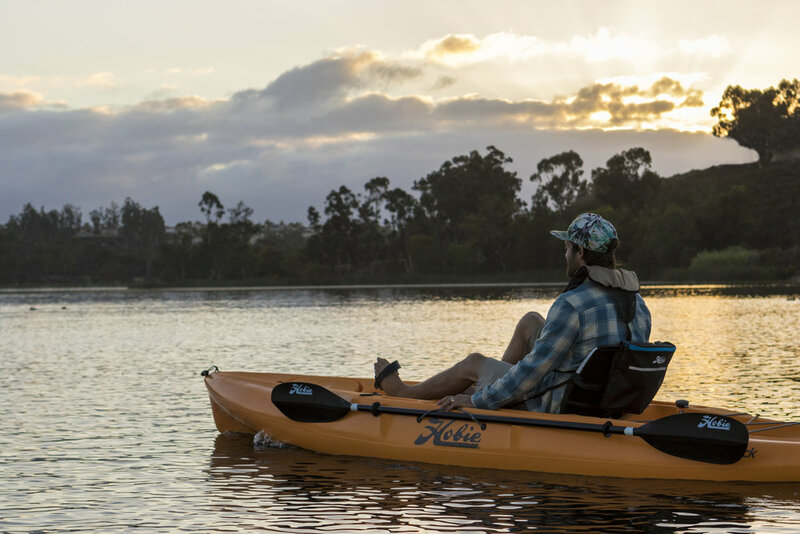 Cruise, camp, or catch. 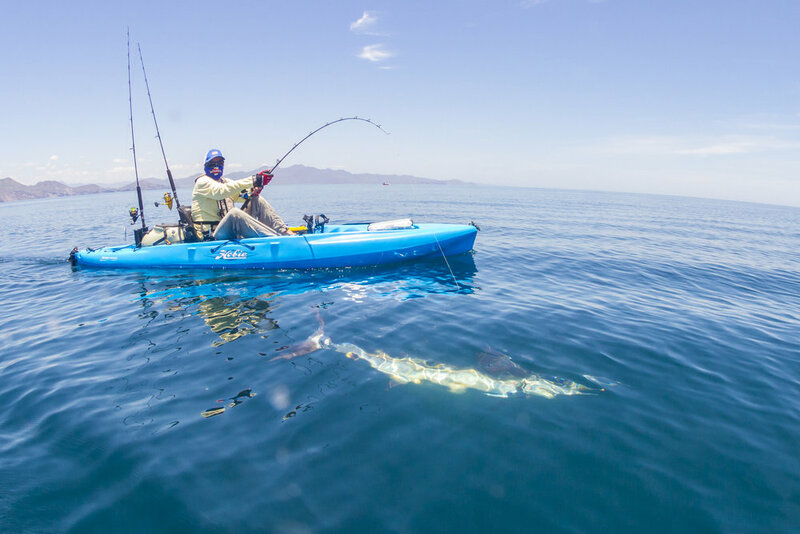 The Outback is packed full of fishing features, including the Lowrance Ready System that makes sonar installation a cinch. 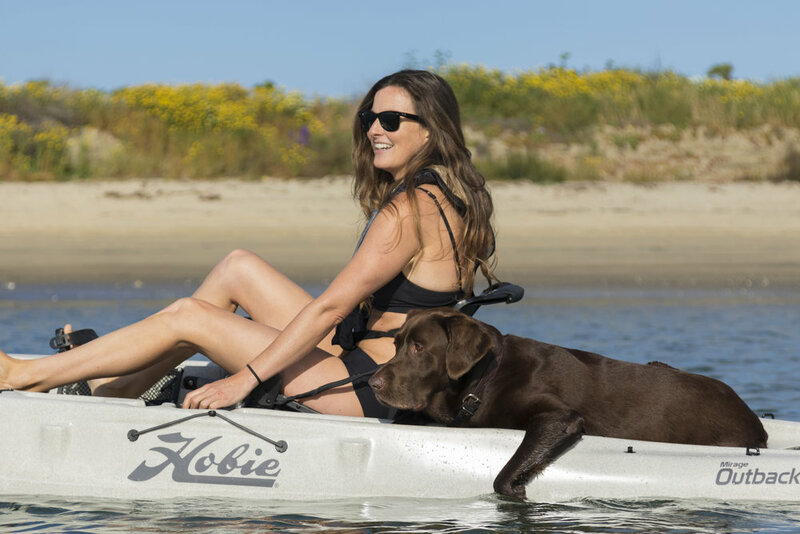 The Hobie Mirage Outback Camo Package has everything you love about the Outback plus upgraded features and a new stealthy look. It features the new Mirage Drive 180 which offers hands-free propulsion in both forward and reverse and the Vantage CT seating system with 3 height options along with the ability to recline. The Camo Package has custom hull graphics and custom pedal pads that are only available on camo models. 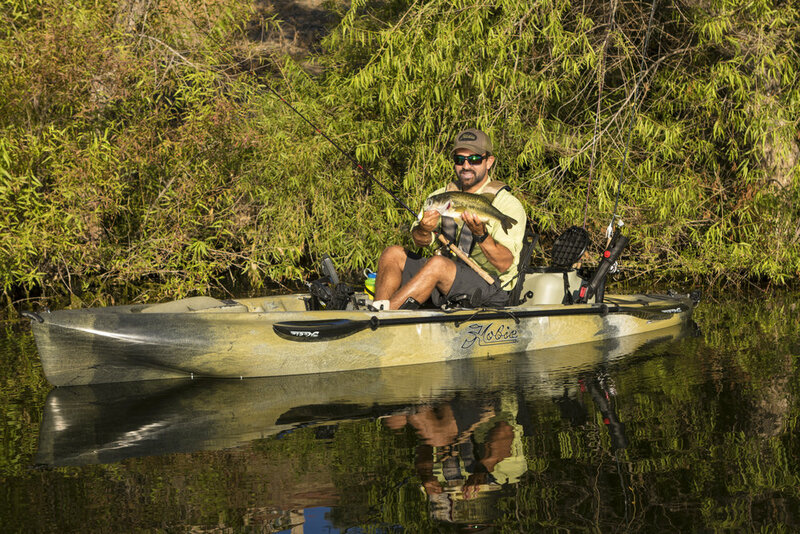 The Camo Outback has been upgraded with Mirage turbo fins and the large rudder blade for more power and control. 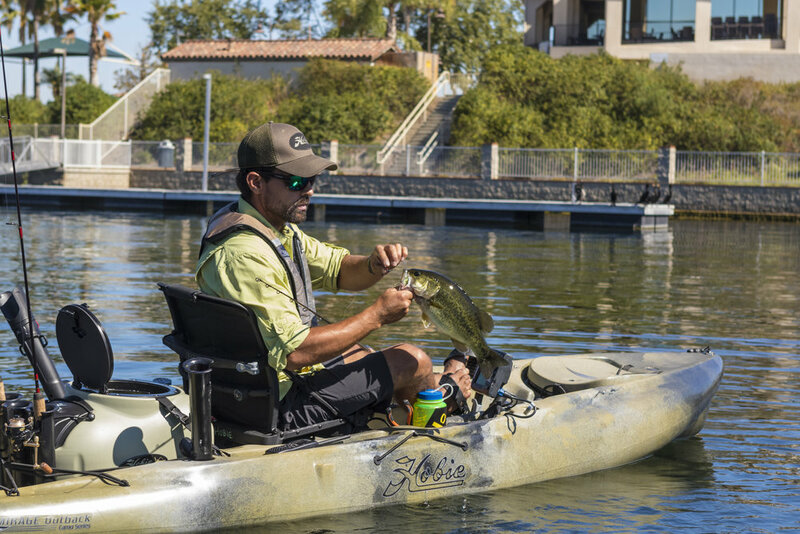 It still comes with all the standard features like molded-in rod holders and trays, storage compartments, Lowrance-Ready capability, XL padeyes, and a gear bucket in the round hatch. 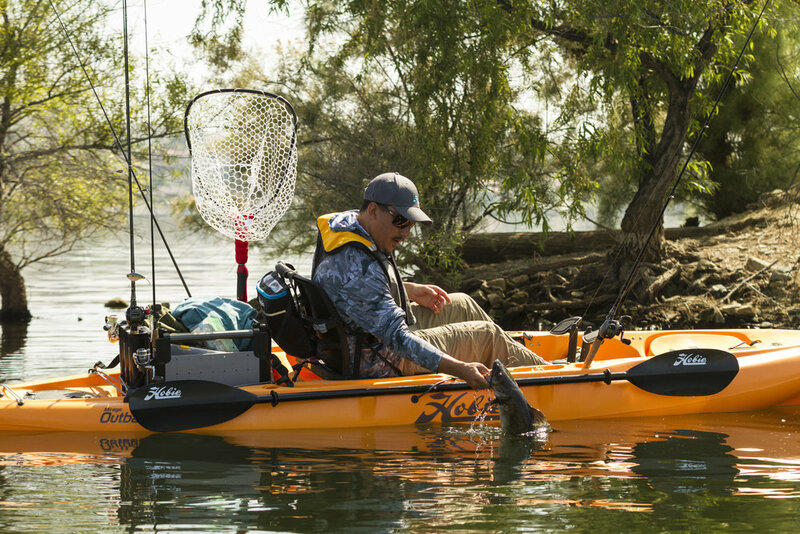 The Outback Camo package has ample above and below deck stowage for all of your fishing gear.